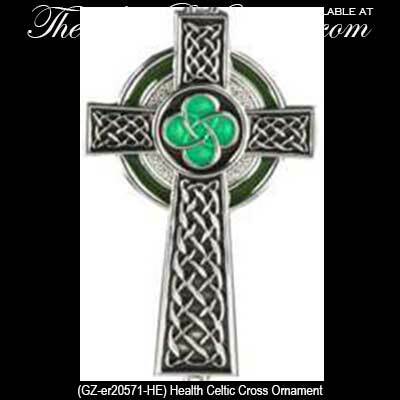 Celtic Cross Irish Christmas Tree Ornament with Celtic Knots. 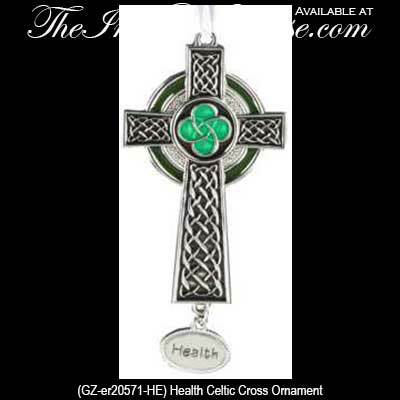 This metal ornament features enamel accents, a dimensional design and a dangle Health tassel. 1 3/4" Wide x 3 1/8” Tall. Ready to Hang with Included White Ribbon.